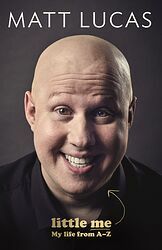 Little Me: My life from A-Z by Matt Lucas. Little Me: My life from A-Z by Matt Lucas Paperback Book Free Shipping! Little Me: My Life from A-Z by Matt Lucas Free Shipping! Little Me: My Life from A-Z by Matt Lucas Compact Disc Book Free Shipping!